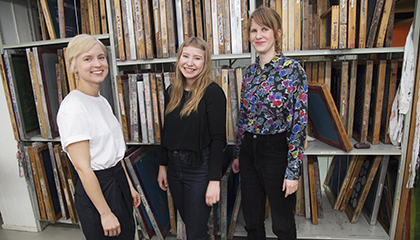 Aalto University collaborates with H&M and sends three students to Stockholm. One of this autumn’s projects culminated in three textile and fashion design students being selected for internship at H&M’s design office. Textile design students were invited to join a project this autumn that challenged them to design textile collections with six different suggestions surface designs for a H&M customer group of their choice, for the 2016 autumn/winter collection. Aalto University School of Arts, Design and Architecture textile design students Miisa Lehto, Sandra Wirtanen and Terhi Laine were awarded with H&M gift cards and internship periods in Stockholm at the end of the project. The three winners’ collections were well executed concepts that showed exemplary understanding of textile techniques, creative use of colour and patterns and great customer focus. According to the fashion house’s representatives, all participating students showed a high degree of skill in their work. H&M provided the students with guidance during the project to help them create a successful commercial collection. There were 18 participating students in the project, of whom in addition to the three winners, nine further students were selected for three-month paid internship periods at the company. “The project’s goal was to build a deeper relationship with Aalto University. 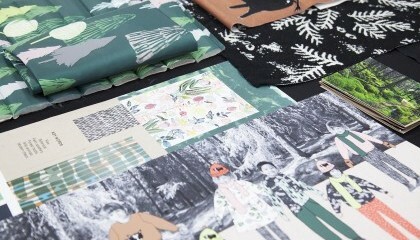 H&M wants to use collaboration to support upcoming young textile design students as well as to ensure the quality of the H&M prints and surface designs in the future,” says H&M representative Maria Olofsgård. 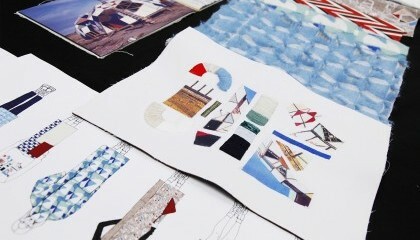 “The project gave students a unique opportunity to learn the basics of commercial surface design and collection design from leading professionals in the field,” says Maarit Salolainen, Aalto University’s professor for textile design, who was in charge of the project. H&M has collaborated with Aalto University for a few years now within the scope of the Design Award project, and many Aalto alumnis have been recruited by the company. The H&M fashion house has engaged in similar collaborative projects with other leading design schools in Europe, Asia and the USA, such as a denim workwear project with London’s Central Saint Martins and a children’s clothing project with Polimoda in Florence.